Gone are the days when “a card-carrying environmentalist” necessarily pays Greenpeace membership dues. Now, the phrase is just as likely to describe anyone with a credit card—issued in the name of the Sierra Club, Wilderness Society, or any of a growing number of green groups looking for a plastic piece of the action. 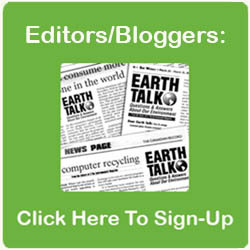 What’s drawing environmental groups to affiliate with credit cards is the fees they generate. With donations sagging, it’s hard to resist tapping into the lucrative resource of a large membership. As any direct marketer can tell you, numbers pay. For example, even if only a small percentage of the Sierra Club’s 500,000 members become Sierra credit card holders, and even if the club receives only half a percentage point of every transaction those cardholders make, that still adds up to some serious cash. The Wilderness Society’s nearly 15,000 cardholders added $200,000 to its operating budget in 1995. The Sierra Club’s 55,000 credit-card-wielding members have contributed $1.2 million to the club’s bottom line since the program started in 1986. Is this kind of fundraising legitimate for nonprofit groups? The Internal Revenue Service (IRS) doesn’t think so. The relevant law is the Unrelated Business Income Tax (UBIT), which was passed by Congress in 1950 to prevent nonprofit groups from unfairly competing with businesses that must pay taxes. The IRS says UBIT gives it the authority to collect 42 percent of the money nonprofits generate from these cards. “It’s unfair since all the money we earn goes directly to nonprofit activities and we are not actively involved in the credit card business,” says Sierra Club Program Director Dale Anania, who asserts that passively earned royalty income is not taxable according to IRS rules. So far the Sierra Club has been successful fighting the IRS with lawsuits. A U.S. Court of Appeals ruling on the UBIT is expected soon. Of course there’s irony in all this environmental plastic. Charge cards are the grease that keeps the consumer society rolling—wreaking havoc on the environment. To misquote Ross Perot, that sucking sound you hear each time you whip out your credit card is the sound of natural resources being converted into products. But most Americans, even environmentalists, own credit cards, so they’re not likely to disappear anytime soon. So which card will do the most for the environment and also give reasonable terms? The best-known socially responsible credit card was started by Working Assets in 1986. Transaction fees from Working Assets support a wide array of good causes—from the Children’s Defense Fund to Friends of the Earth. Cardholders vote annually to determine which groups to support. In 1995, Working Assets contributed $2.1 million to 36 groups. There is no yearly fee for the card, and each time you use it, 10 cents is added to Working Assets’ donation pool. 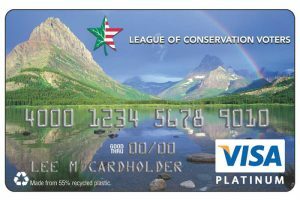 Most of the major environmental groups that put their name on credit cards have arrangements with one of two banks, either MBNA America (Sierra Club, Nature Conservancy, National Wildlife Federation) or First USA (National Audubon, World Wildlife Fund, National Parks and Conservation Association). They typically charge no annual fee and offer low annual financing rates on unpaid balances for the first five months. The affliated groups typically receive $3 for each new cardholder, $5 for each renewal, and half a percentage point to one percent of each billed transaction. A word of caution: Don’t be fooled by unaffiliated “nature” cards. 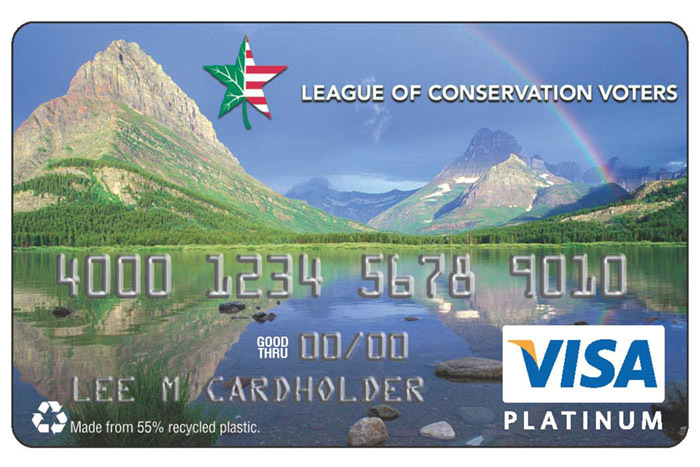 First USA’s “Wild America” card, for example, features pictures of wolves and forests, but its use doesn’t generate any funds for nonprofits. The “nature-friendly” image is just that: an image.